Lets start with my Husband's family. I thought I would reveal a few nuggets about their life- as I am now a part of it, and can add my OWN elements to the recipe. My husband’s family is perhaps one of the most eclectic mixes of folks I have ever met—his Mother was born and raised in Kochi, Japan (my Husband was also born there), and met her Husband (of nearly 26 years!) at a school in Japan. You see, Papa Bardwell (we’ll call him for all intensive purpose) is the tallest fair skinned man from Wisconsin I’ve ever met; we’re talking like nearly 6’5 here and met his Wife, Mama Bardwell while teaching Japanese students English. First, how amazing is that? Second, what an adorable story! Baby Bardwell (my husband) was born a few years later in Japan—and you should see some of the baby pictures. At the risk of him divorcing me, I’ll keep them private, but suffice to say that he in a little swaddle next to his VERY beautiful Mama Bardwell is precious. They all lived pretty happily in Japan for a few years before moving to Ithaca, NY (where Papa Bardwell finished his excellent studies at the University), and was acquired by an international agriculture company (we’ll keep the specifics private, ya strangers) that would proceed to bounce him and the family from Moline, IL (where Super-Baby Bardwell, a little brother, was born), to Cary, NC. My family also has an interesting story- and though not nearly as culturally exhilarating, I am a healthy mix of Papa Seidl (German and Irish), and Mama Franco (Cuban). Mama Franco came to the US from Cuba when she was very young, and her family relocated to Maryland- where she was able to meet Papa Seidl (born and raised in Maryland) through his sister. A few years later, Baby Seidl was born—and just a few short 11 months after, Super-Baby Seidl (my brother) was born. A few interesting years occurred in between, and at the ripe age of 3, I was introduced to Mama Seidl—yes, she is my step-mother for all intensive purposes, but I’ve come to know her as another aspect of me, a Mother, if you will—and even attribute some ‘genetic’ features to her and her family; the ‘tissue in the bra’ is a classic example, and might I add, a very handy place to keep a tissue; you never know when you may need one! I digress, but suffice to say, there was quite a bit of moving around in my household, and Papa, Mama, and Baby Seidl ended up in Cary, North Carolina in the year 2000. Baby Bardwell and Baby Seidl were nearly the same age (about 2 weeks apart, I, of course, being the older—perhaps not as wise—of the two) and met Baby Bardwell at the neighborhood pool while Papa and Mama Seidl unpacked all the boxes in the new house… you see…My family moved into the same neighborhood- about 8 houses apart from the Bardwell’s. I can’t tell you if I believe in fate or not (I’m not sure it’s something tangible that I can grasp yet), but I can tell you that I believe in coincidence- from there, the rest is history, but if coincidence brought us together, then fate keeps us together and while there were a few years of WTF in between, we have been happily together ever since. 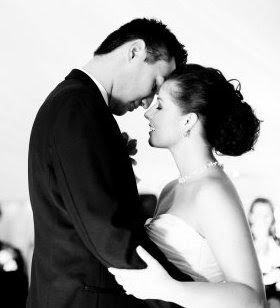 We were married in September 2009- as many of you may remember from my VERY first post here to the blog. Baby Bardwell really KNOWS me- probably more than anyone has ever really been able to claim. He already knows my expressions; my ‘ugh’s’ when I see the kitchen is a mess from dinner 2 nights before (yes, we’re that couple sometimes, although getting better) and offers to roll up his sleeves and wash if I dry (told you he was a keeper). Anyway, I write this post mostly for myself; maybe to keep my ‘stardate log’ up to date for when I need a review of where I come from, or maybe to understand why in the world we felt the need to acquire a Great Dane and test the structural limits of a very tiny cape house in Massachusetts. It couldn’t possibly be to reminisce on the fact that, as mentioned above, I may not believe in fate, but it seems to be guiding me through all that I do. (?) I have to believe there is a little bit of ‘fate,’ or whatever you want to call it, playing out. It’s just not possible for me to go to school and be heads down in Marketing and Business and NOT be an artist and letterpresser, right? Or to meet my future husband 8 houses down from me? Or to have the pleasure of knowing family in literally every corner of the world. Okay, now scroll up (and down) to see more pretty pictures of paper. Yet another reason I love Liz: OMG She's freakin' Cuban!! This crazy rant brought to you by Sudafed. Love the "stardate log" reference there!!! You hidden trekkie!